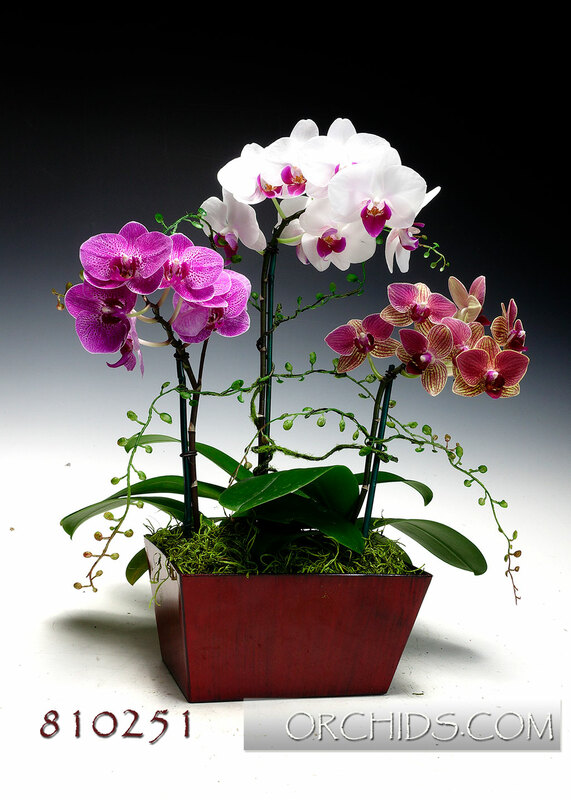 These flowers hit you with the depth of color as only an orchid can--intense hues combined with bold patterns, yet totally elegant at the same time. Specialized breeding has created very waxy flowers which can last for weeks, their subtle fragrance further enhanced by warm temperatures. This three orchid abundance is beautifully finished with a charming faux butterfly resting on fern leaves and is presented in our very special and stylish euro metal cache pot.